Click For More Info 1987 - 1988 CENTURY ALL V6 3.8 ALL ALL ALL OE recommended replacement part. Click For More Info 1989 - 1989 CENTURY ALL V6 3.3 ALL ALL ALL OE recommended replacement part. Click For More Info 1989 - 1989 CENTURY CUSTOM V6 2.8 ALL ALL ALL OE recommended replacement part. Click For More Info 1989 - 1989 CENTURY LIMITED V6 2.8 ALL ALL ALL OE recommended replacement part. Click For More Info 1994 - 1996 CENTURY ALL V6 3.1 ALL ALL ALL OE recommended replacement part. 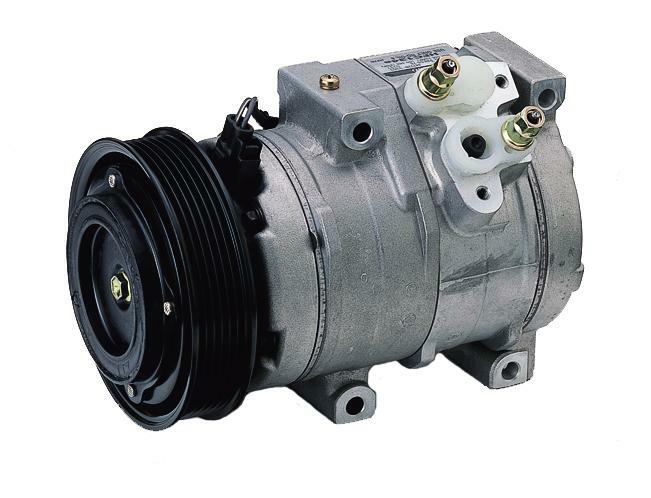 Click For More Info 1997 - 2005 CENTURY ALL V6 3.1 ALL ALL ALL OE recommended replacement part. OE-specified Oil included. Click For More Info 1994 - 1996 COMMERCIAL CHASSIS ALL V8 5.7 ALL ALL ALL OE recommended replacement part. Click For More Info 1989 - 1990 ELECTRA ALL V6 3.8 ALL ALL ALL OE recommended replacement part. Click For More Info 2008 - 2012 ENCLAVE ALL V6 3.6 ALL ALL ALL DENSO is the OE supplier for this vehicle; OE-specified Oil included. Click For More Info 2005 - 2005 LACROSSE CX V6 3.8 ALL ALL ALL OE recommended replacement part. OE-specified Oil included. Click For More Info 2005 - 2005 LACROSSE CXL V6 3.8 ALL ALL ALL OE recommended replacement part. OE-specified Oil included. Click For More Info 2006 - 2009 LACROSSE ALL V6 3.8 ALL ALL ALL OE recommended replacement part. OE-specified Oil included. Click For More Info 1989 - 1990 LESABRE BASE V6 3.8 ALL ALL ALL OE recommended replacement part. Click For More Info 1989 - 1990 LESABRE CUSTOM V6 3.8 ALL ALL ALL OE recommended replacement part. Click For More Info 1989 - 1990 LESABRE LIMITED V6 3.8 ALL ALL ALL OE recommended replacement part. Click For More Info 1991 - 1994 LESABRE ALL V6 3.8 ALL ALL ALL OE recommended replacement part. Click For More Info 1995 - 1995 LESABRE ALL V6 3.8 ALL ALL ALL OE recommended replacement part. Click For More Info 1996 - 1999 LESABRE ALL V6 3.8 ALL ALL ALL OE recommended replacement part. Click For More Info 2000 - 2005 LESABRE ALL V6 3.8 ALL ALL ALL OE recommended replacement part. Click For More Info 2006 - 2008 LUCERNE ALL V6 3.8 ALL ALL ALL DENSO is the OE supplier for this vehicle; OE-specified Oil included. Click For More Info 2006 - 2011 LUCERNE ALL V8 4.6 ALL ALL ALL DENSO is the OE supplier for this vehicle; OE-specified Oil included. Click For More Info 1991 - 1994 PARK AVENUE ALL V6 3.8 ALL ALL ALL OE recommended replacement part. Click For More Info 1995 - 1995 PARK AVENUE BASE V6 3.8 N ALL ALL OE recommended replacement part. OE-specified Oil included. Click For More Info 1995 - 1995 PARK AVENUE ULTRA V6 3.8 S ALL ALL OE recommended replacement part. Click For More Info 1996 - 1996 PARK AVENUE ALL V6 3.8 ALL ALL ALL OE recommended replacement part. Click For More Info 1997 - 2005 PARK AVENUE ALL V6 3.8 ALL ALL ALL OE recommended replacement part. Click For More Info 2004 - 2007 RAINIER ALL V8 5.3 ALL ALL ALL OE recommended replacement part. OE-specified Oil included. Click For More Info 2004 - 2007 RAINIER ALL L6 4.2 ALL ALL ALL OE recommended replacement part. OE-specified Oil included. Click For More Info 1989 - 1991 REATTA ALL V6 3.8 ALL ALL ALL OE recommended replacement part. Click For More Info 1990 - 1993 REGAL ALL V6 3.8 ALL ALL ALL OE recommended replacement part. Click For More Info 1994 - 1995 REGAL ALL V6 3.1 ALL ALL ALL OE recommended replacement part. Click For More Info 1994 - 1995 REGAL ALL V6 3.8 ALL ALL ALL OE recommended replacement part. Click For More Info 1996 - 1996 REGAL CUSTOM V6 3.1 ALL ALL ALL OE recommended replacement part. OE-specified Oil included. Click For More Info 1996 - 2002 REGAL ALL V6 3.8 ALL ALL ALL OE recommended replacement part. OE-specified Oil included. Click For More Info 2003 - 2004 REGAL ALL V6 3.8 ALL ALL ALL OE recommended replacement part. OE-specified Oil included. Click For More Info 1989 - 1993 RIVIERA ALL V6 3.8 ALL ALL ALL OE recommended replacement part. Click For More Info 1995 - 1995 RIVIERA ALL V6 3.8 S ALL ALL OE recommended replacement part. Click For More Info 1995 - 1995 RIVIERA ALL V6 3.8 N ALL ALL OE recommended replacement part. OE-specified Oil included. Click For More Info 1996 - 1999 RIVIERA ALL V6 3.8 ALL ALL ALL OE recommended replacement part. Click For More Info 1994 - 1996 ROADMASTER ALL V8 5.7 ALL ALL ALL OE recommended replacement part. Click For More Info 1986 - 1986 SKYLARK ALL V6 3.0 ALL ALL ALL OE recommended replacement part. Click For More Info 1994 - 1994 SKYLARK CUSTOM L4 2.3 ALL ALL ALL OE recommended replacement part. Click For More Info 1994 - 1994 SKYLARK LIMITED L4 2.3 ALL ALL ALL OE recommended replacement part. Click For More Info 1994 - 1998 SKYLARK ALL V6 3.1 ALL ALL ALL OE recommended replacement part. Click For More Info 1995 - 1995 SKYLARK ALL L4 2.3 ALL ALL ALL OE recommended replacement part. Click For More Info 1996 - 1998 SKYLARK ALL L4 2.4 ALL ALL ALL OE recommended replacement part. Click For More Info 1986 - 1986 SOMERSET ALL V6 3.0 ALL ALL ALL OE recommended replacement part. Click For More Info 1985 - 1985 SOMERSET REGAL ALL V6 3.0 ALL ALL ALL OE recommended replacement part.